No Bake Pistachio Cream Pie, A Super Easy Dessert That's SO SATISFYING! It’s the most successful way to satisfy a sweet tooth — No Bake Pistachio Cream Pie is a luscious and DELICIOUS dessert with a graham cracker crust that requires barely any effort at all. This mouthwatering treat, created by The Recipe Critic, is guaranteed to steal the spotlight at every party! You will love how creamy and comforting it is, but you’ll love its simplicity even more. It’s cool, fluffy and sacredly sweet. No Bake Pistachio Cream Pie tastes amazing anytime, any day — but especially at all those gatherings coming up with warmer weather! In just two simple steps you can devour this decadent dessert from the comfort of your home. This flavorful, silky treat will leave everyone BEGGING for the recipe. It’s seriously that good. After taking your first bite, your taste buds will instantly have a new higher standard when it comes to desserts. The fun bursts of fresh sweetness from the crushed pineapple gives your taste buds the experience of a lifetime. 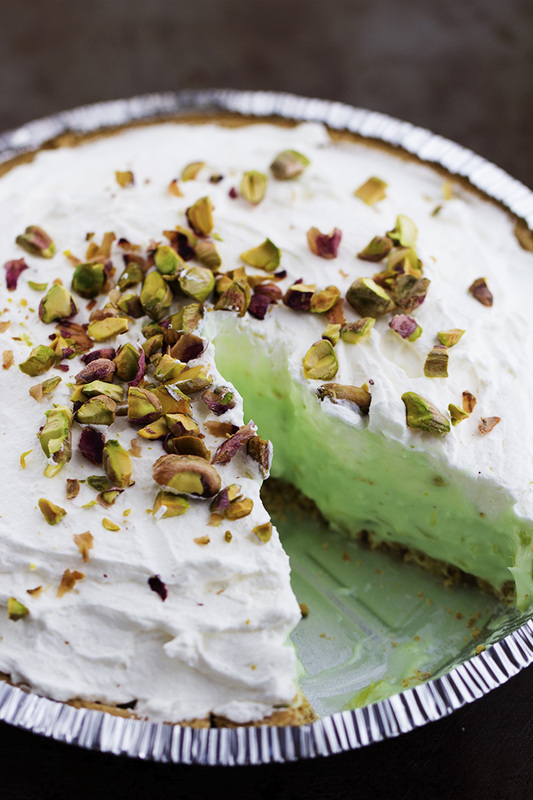 No Bake Pistachio Cream Pie will satisfy the toughest critics, including the pickiest eaters. Do yourself a favor and try this amazing recipe today — you won’t regret it! Recipe and photos by The Recipe Critic.